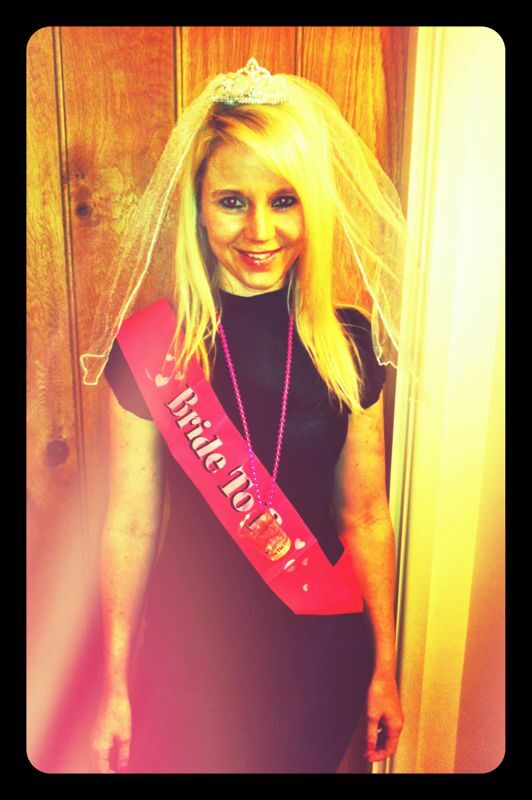 Berry Diaries: My Hens Party-The BEST weekend Ever! This weekend was one of my favouritest weekends of my life so far. A weekend away with the best bunch of girls in the world to celebrate my hens party, before we get married in December. I had absolutely no idea what to expect. I sent Jen and Beany, two of my bridesmaids, and the only two that live in the UK, a list of people that I would like to celebrate the last of my unmarried days with, and that was the last I heard of anything. Other than being told to keep this past weekend free, I knew absolutely nothing of what was going to happen. Not who was going, where we were going or what to expect. I was told to pack an all black outfit, and walking shoes. Ok, English countryside I was guessing. I got to the Starbucks in the village after seeing my midday patient, and looked around. I soon saw my friend Cath walking towards me. After collecting a coffee, we walked towards to the most gorgeous little salon, and had manicures. Cath then said I could open the second envelope, where further instructions awaited me. Cath has the cutest little baby in the world, and so unfortunately couldn't come away with us for the weekend. After meeting Jen at her office in Barnes, we collected the bags and hopped on the train towards Waterloo. Jen refused to give me any more information about the weekend. Despite my numerous attempts to try and extract any information from her on the train about what was to come. We arrived at Kings Cross Train Station, and still Jen wouldn't say a word! I looked up to see my friend Libby walking towards us, and the butterflies in my stomach really kicked off. We boarded the train, saw some more of my girls, and the group of 9 of us set off. My train ticket said Sandy, and I was told we would be there in 45 minutes. Beany wasn't with us, so I knew that there must be another group of people en route too. Off the train and into a waiting taxi. With jokes all the way to our unknown destination from the girls, regarding bringing shoes to shower in the hostel's bathroom's. We drove through a gate, and along a gorgeous tree lined avenue, and up to the most gorgeous mansion. This is the aerial view from the website, taken in the summer. Yes, that was all ours! We got out of the car, and Beany greeted us and made me wait outside the kitchen door. I then walked into a tunnel made by the arms of shouting, excited girls. When I caught my breath and looked around, I counted 17 people in front of me! Including Bindy who had sent me a text that morning saying she had to babysit her nephews on Friday night! The photo's below pretty much sum up the best weekend ever. Sargeant stayed at the house. Team photo line ups can be trying! Team photo coordination from across a lake..impossible! The working water wheel in front of the house. Water flowing beneath the middle of the house. 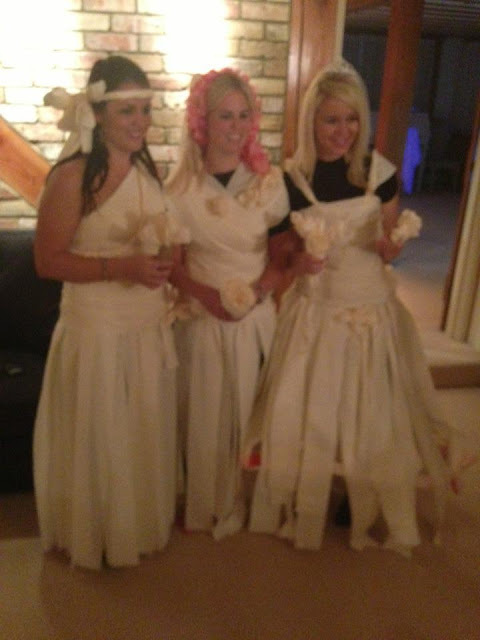 Best toilet paper dress competition. Very sad to leave my gorgeous room. Very 'tired' girls eating breakfast. Not a bad view from the dining room table. Exhausted, but still giggling, waiting for the train. Yoh, Yoh, Yoh, Yoh but that was a fun weekend! Chatting, laughing, walking, drinking, dancing, and feeling so incredibly blessed to have the best girlfriends in the entire world. Love you ladies so much. Jen and Beana. Thank you for organising the best weekend of my life. I'm not joking when I say I want another weekend with all my favouritest individuals organised by you two again, next year.